Patients can trust in our San Antonio fertility specialists to offer customized care. We take male and female fertility evaluation seriously, allowing us to pinpoint the exact cause or causes of infertility. This will then allow us to determine an optimal procedure to help achieve pregnancy. A number of women who've come to our practice have had issues with their uterine shape, anatomy, or lining. Let's explore this issue briefly. Uterine health is crucial for successful pregnancy and having a child that is healthy. Issues with the shape and health of the uterus, and even the lining of the uterus during a woman's cycle can have a negative impact on fertility, making it far more difficult to have a child and perhaps even increasing the risk of a miscarriage. Numbers vary when it comes to uterine abnormalities and infertility. Some estimates suggest that up to 1 in 13 women have a uterine abnormality that affects fertility and health during pregnancy. We'll note some potential uterine abnormalities below. A uterine polyp is an overgrowth of tissue of the uterine lining, which is known as the endometrium. These polyps can reduce the chances of successful pregnancy or increase the risk of miscarriage. Also referred to as myoma or leiomyoma, uterine fibroids are non-cancerous benign tumors of the uterine muscle. Many times these fibroids are small, and they may or may not affect fertility depending on their location in the uterus. When trauma or infection affect the uterine lining, this can lead to scar tissue within the uterine cavity. This scar tissue can affect a woman's menstrual cycle. In some cases, infertility or miscarriage become more likely. 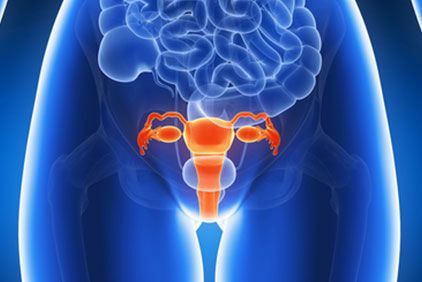 A woman may have a malformed or poorly shaped uterus as a result of a genetic issue. Examples of this include T-shaped uterus, a bicornuate uterus, and uterine septum. These uterine malformations may make it more difficult to become pregnant and can potentially increase risk of miscarriage or premature birth. The leutal phase is part of the menstrual cycle that occurs after ovulation but before a woman's period begins. A defect in the leutal phase means that the lining of the uterus does not grow properly from month to month. It may be a contributing factor in a woman's infertility. Another potential cause of infertility, an endometrial lining that's too thin or too thick can potentially result in reduced chance of pregnancy. An ideal endometrial lining is between 8mm and 13mm. Under 6mm and over 15mm is considered too thin and too thick, respectively. Since these uterine abnormalities can vary a great deal, it's important that fertility specialists carefully tailor treatments to meet the needs of their patients. Other potential factors that can contribute to infertility need to be considered as well, which includes male factor infertility issues. In many cases, treatments may involve in vitro fertilization (IVF) or gestational carriers. We can discuss these matters with you in greater detail during the consultation process. If you would like more information about starting a family and overcoming female infertility, be sure to contact our team of fertility specialists today. Our entire team is here to help you improve your chances of pregnancy and having a happy family.